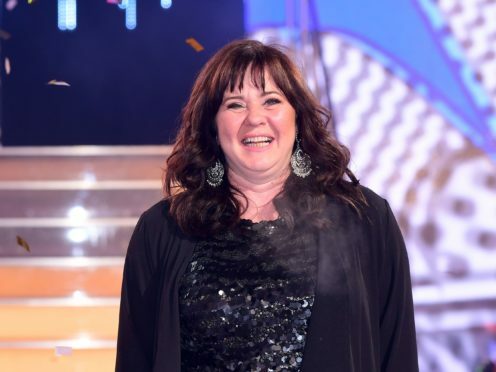 Coleen Nolan admitted trolls left her in tears for 10 days as she opened up following her return to Loose Women. The television personality and singer took a three-month break from the popular daytime show following an on-air bust-up with Kim Woodburn. Woodburn had been invited on to Loose Women, on which Nolan is a panellist, to patch up their differences after they fell out while appearing together on Celebrity Big Brother. Nolan made her comeback on Monday and received a standing ovation from the audience. Speaking about her absence, Nolan said she became a target for online abuse at the same time she was dealing with her divorce from second husband Ray as well as grieving for late sister Bernie and worrying over her cancer-stricken sibling Linda. Speaking to the Mirror, Nolan said the abuse was “horrendous”. She said: “I must have cried for 10 days after deciding to take a break, and I am someone who doesn’t cry easily. But I think I’ve come out stronger. “It’s just horrendous. They almost think they have a right because you are in the public eye. Nolan returned to the Loose Women panel on Monday and received a standing ovation from the audience. Woodburn, who found fame on How Clean Is Your House?, was invited on to Loose Women in August to try to repair the relationship between her and Nolan. But an argument broke out, leaving both women in tears and Woodburn storming off the set.